I've been struggling for some time with the finish of 3D prints. 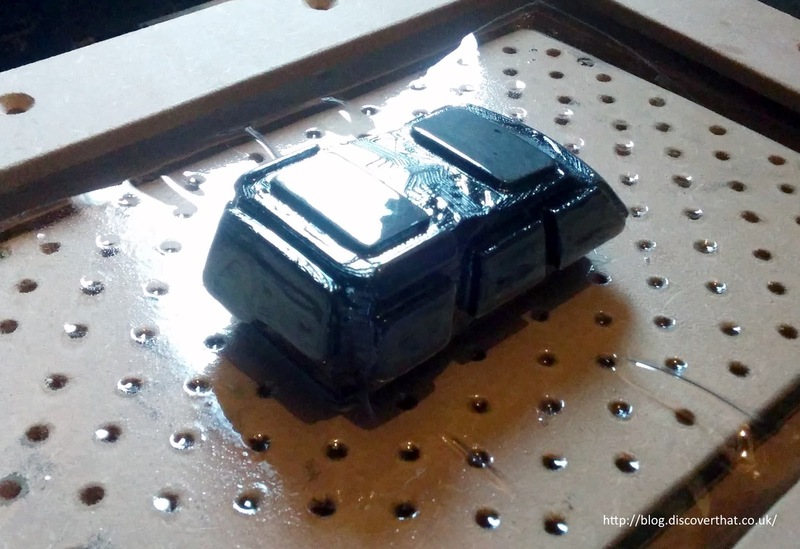 The layers used to create 3D printed models results in uneven unsatisfactory surfaces. I've tried to sand down the peaks and I've tried using high build primer followed by sanding and I have not been able to get a good smooth finish. It needs so much sanding that any detail is lost! I think I now have a solution. I can't claim it was entirely my own idea. I've been searching the Internet. One of the most promising sounding was what follows. 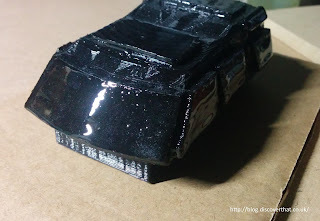 I've used a thin layer of two part epoxy resin painted on and sanded down. There are several resin products mentioned in other Internet tutorials, some are specifically for the purpose however I struggled to find some of them in the UK at acceptable prices. I settled on Z-poxy PT-39. I was able to get this from Amazon. It is advertised as an adhesive but it was easy to mix and paint on a thin layer. I cleaned the brush after using Isopropyl Alcohol. 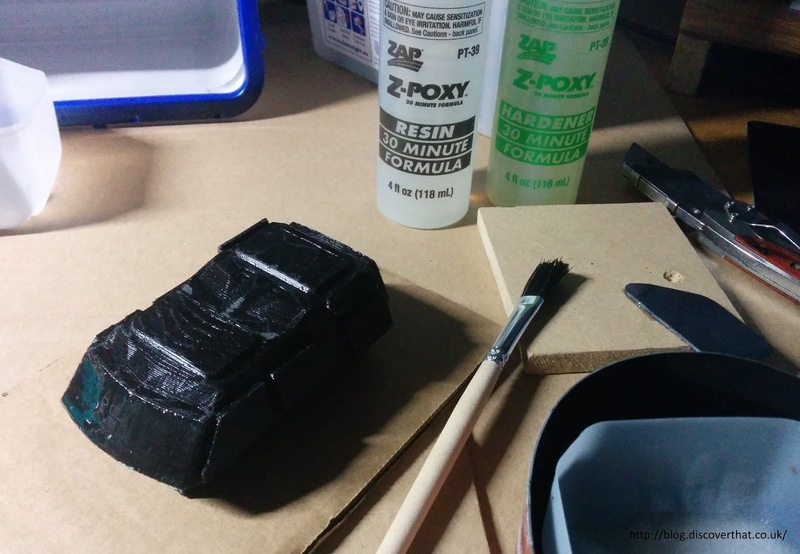 The PT-39 epoxy resin claims to dry in 30 minutes and probably does, however I left it for 24 hours before sanding it smooth. 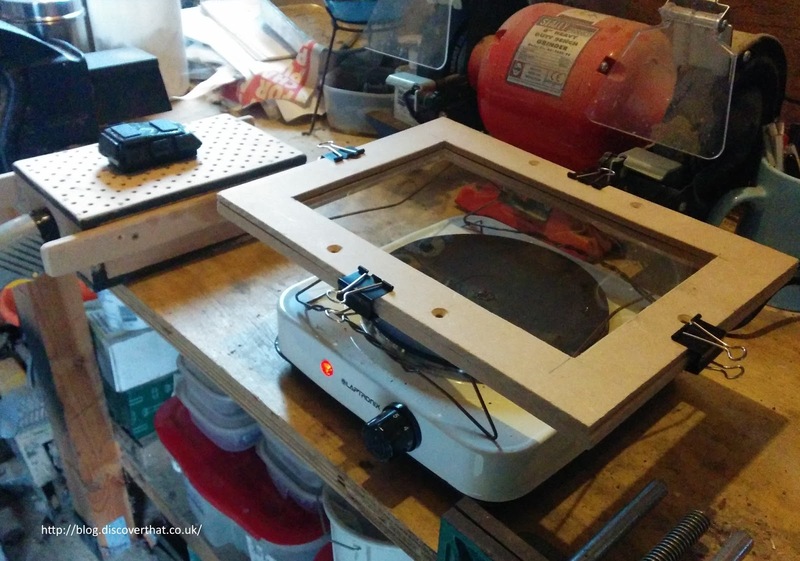 It was very easy to sand getting a smooth feeling surface without much effort. 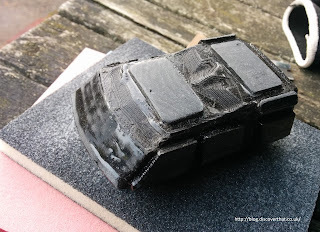 At the moment I have used it on the mold for the vac formed windows for the slot car Land Rover Discovery that I am making. For the mold, I used a cheap brush to coat the plastic layers with as thin coat of mixed resin as I could manage. I only did one coat on the mold. If I was finishing off body panels I might paint on a second layer to fill slight uneven areas and then re-sand but for the current purpose the one layer sanded down a lot, was sufficient. The end result is better than I was expecting. It is hard to show in a photo but the resin felt smooth to the touch. 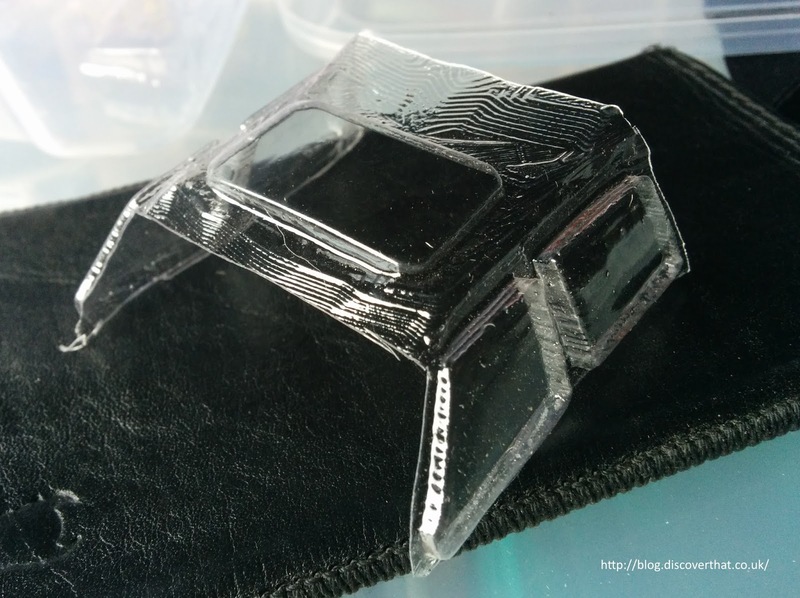 The surfaces of the resulting vacuum formed plastic windows are now evenly clear. On the subject of vac forming I have tried 0.5mm PETG and 1mm PETG clear plastic. Much to my surprise both thicknesses worked well. I was expecting the 1mm to be too thick for my heating ring but it was fine and the end result of the 1mm, as could be expected, was a bit stronger especially in the corners. From these results I think 0.75mm clear PETG would be the most effective on my machine. It is necessary to let the 1mm A4 sheet heat up so it droops down at least 20mm and then move it over to the vacuum former, just before it get too soft and touches the ring! I find having the vacuum on before putting the plastic over the mold works best. You can see in the photo the difference between the surfaces where resin has been applied and where it has not. 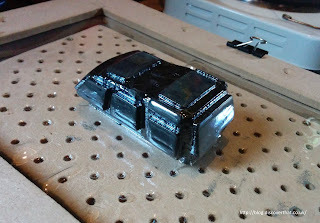 It was difficult cutting the plastic off the mold because of the tight overhangs but I am pleased with the end result. I intend to glue in each window in the vehicle separately.